Have you ever dreamed of exploring the underwater world… of sunken ships and Pirates’ treasures? Add new and exciting adventures to your next trip or cruise!!! If you're ready for more fun in your life come to Panama City Beach and join the Dive Locker family and become a certified Scuba Diver. Panama City Beach has long been known as the most popular place for diving in North Florida and it is second only to the Florida Keys as the most visited dive destination in Florida. Skin Diver magazine calls Panama City Beach the “Wreck Capitol of the South” and the Dive Locker is the Premier PADI Training Center on the Gulf Coast. 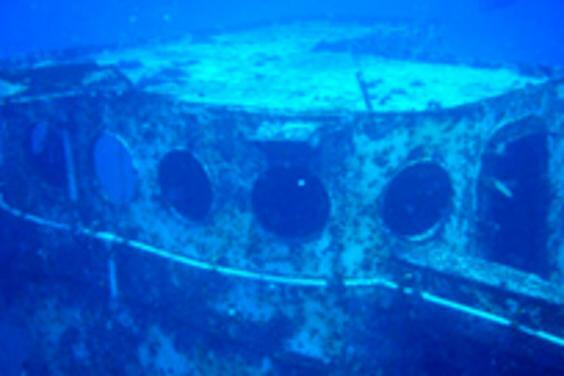 For beginners or experienced divers, Panama City Beach offers an abundance of excellent dive sites. Within miles of the World’s Most Beautiful Beaches there are over 50 artificial reefs, including ships, barges, bridge spans and hundreds of natural limestone reefs, ranging in depths of 18’ to 110’. The Jetties at St. Andrews State Park offers the best beach dive available along the Emerald Coast. Depth on the channel side of the West Jetty hits 70’ in spots. The rocks attract and hold a variety of sea life, including octopus, hog snappers, redfish and grouper. If you time your dive to catch an incoming tide, it doesn’t get any better.